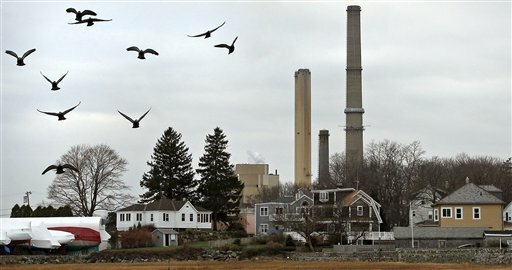 January 20, 2012 by Ken Ward Jr.
Measurable improvements in air quality and visibility, human health, and water quality in many acid-sensitive lakes and streams, have been achieved through emissions reductions from electric generating power plants and resulting decreases in acid rain. These are some of the key findings in a report to Congress by the National Acid Precipitation Assessment Program, a cooperative federal program. The report shows that since the establishment of the Acid Rain Program, under Title IV of the 1990 Clean Air Act Amendments, there have been substantial reductions in sulfur dioxide (SO2) and nitrogen oxides (NOx) emissions from power plants that use fossil fuels like coal, gas and oil, which are known to be the primary causes of acid rain. As of 2009, emissions of SO2 and NOx declined by about two-thirds relative to levels in the 1990s. These emissions levels declined even further in 2010, according to recent data compiled by the U.S. Environmental Protection Agency. Because emission reductions result in fewer fine particles and lower ozone concentrations in the air, in 2010 there were thousands fewer premature human deaths, hospital admissions, and emergency room visits annually leading to estimated human health benefits valued at $170 to $430 billion per year. Despite these emission reductions, the report also indicates that full recovery from the effects of acid rain is not likely for many sensitive forests and aquatic ecosystems. For example, in the Adirondack Mountains of New York, an especially sensitive region, 30 percent of the lakes were receiving acid rain during 2006-08 in excess of the level needed to prevent harm. Based on models which analyze various emission scenarios, the report concludes that beyond current SO2 and NOx emission levels, future emission reductions would likely promote additional and more widespread recovery as well as to prevent further acidification in some U.S. regions. The principal message of this report is that the Acid Rain Program has worked. The emissions that form acid rain have declined and some U.S. areas are beginning to recover. However, some sensitive ecosystems are still receiving levels of acid rain that exceed what is needed for full and widespread recovery. We have every reason to believe that recovery will continue with further decreases in emissions which is why further emission reductions would be beneficial.